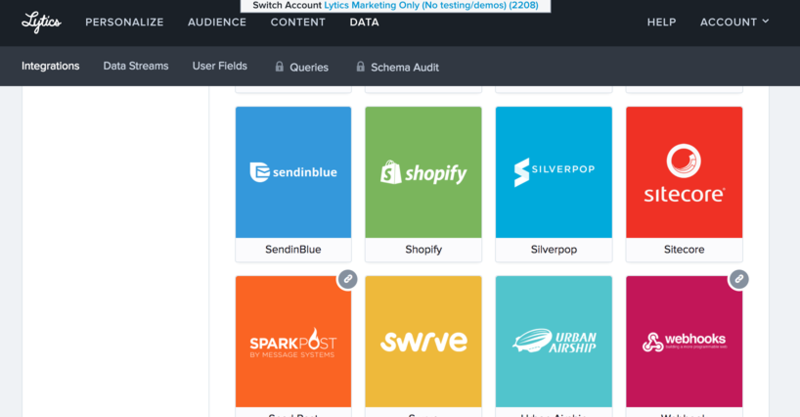 Lytics Customer Data Platform allows you to use real-time customer activity across various channels to trigger SendinBlue workflows. 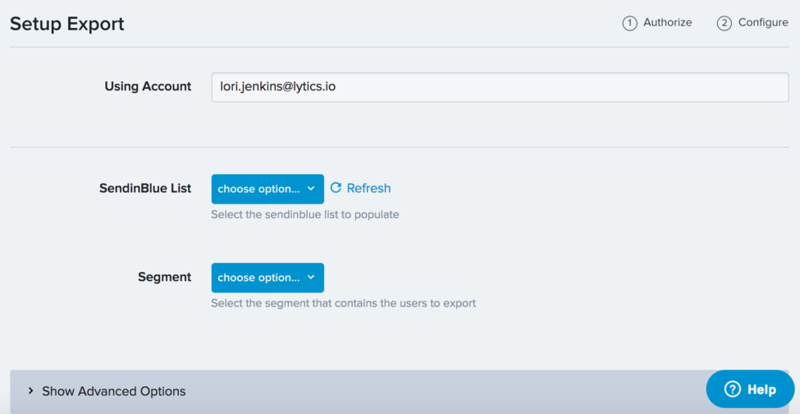 Instead of a static, list-based approach to automation workflows, Lytics allows you to create dynamic audience segments that sync with SendinBlue and update in real-time as customers flow in and out of them. For example, a segment of known visitors with an affinity for a certain topic could trigger an email workflow with targeted messaging. To set up and authorize the Lytics SendinBlue integration, log into your Lytics account (https://activate.getlytics.com/login) and click on the Data menu tab, and then click on Integrations from the submenu. You’ll see a list of available integrations organized alphabetically in tiles. Scroll down and click on the SendinBlue tile. Click on “Add Account” and you’ll be prompted to enter your API key and a short description. You can describe your authorization in any way you like. This can be a useful way to tell multiple integrations apart. The initial account authorization only needs to be performed one time. Now that the account is authorized, you can begin exporting or importing your users. In the export scenario, you’ll click on the “Export Users” button. 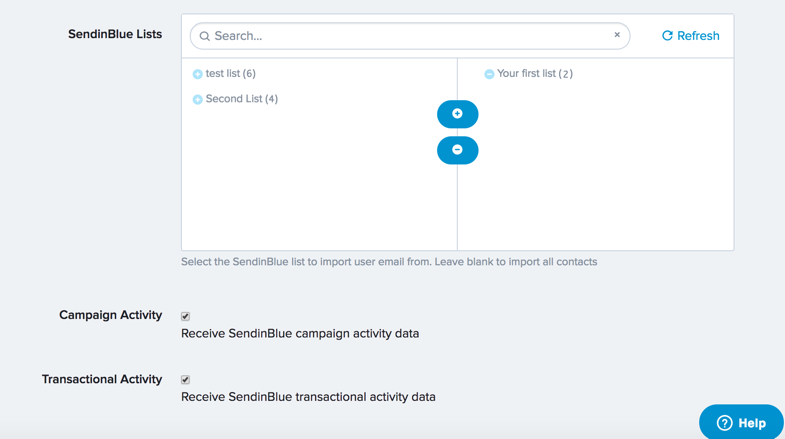 From there, select the SendinBlue List that you want to import and the Lytics audience segment that you want to sync them into from the dropdowns. By default, the advanced options are set to continuously import and to add users who already exist in the selected Lytics segment. Finally, click on the “Start Export” button located below the advanced options section. Note: You can export segments by clicking on the SendinBlue tile within the Integration section of the Data menu tab (as demonstrated above). Alternatively, if you are within the Audience tab, you can also click on a specific segment and then click on the export button in the upper righthand corner to begin the export workflow. In the Import scenario, you’ll click on the “Import Users & Activity” button. Next, you’ll select the individual SendinBlue List(s) that you want to import by clicking on them. As you click on a list it moves from the left column to the right column. You can also click on the blue + and - buttons to do this. By default, campaign activity data and transactional data will be synced. In the advanced options tab, you can also specify a certain time of day and timezone for the sync.